Polyester eye and eye round slings are strong and versatile. They work exceptionally well in choker, vertical or basket hitches. CORE™ Polyester Eye and Eye round slings feature a Cordura® jacket that covers the sling body forming a loop, or eyes, at each end. This construction makes polyester eye and eye round slings ideal for applications that expose the sling to additional wear and tear. CORE™ polyester eye and eye round slings are made with strands of polyester yarn enclosed in a tough two-ply woven tubular polyester jacket. The Cordura® jacket provides an additional layer of protection against abrasion. All round slings are color coated to indicated load capacity. They come with a durable tag for easy identification. CORE™ Polyester Eye and Eye Round Slings are manufactured in the USA and meet or exceed all current OSHA and ASME B30.9 standards. Polyester Eye and eye round slings are available in many strengths and sizes. Call our experienced lifting specialist at 888-794-0587 Monday - Friday, 7am-5pm CDT to order a quality Eye and Eye round sling fabricated for your needs. 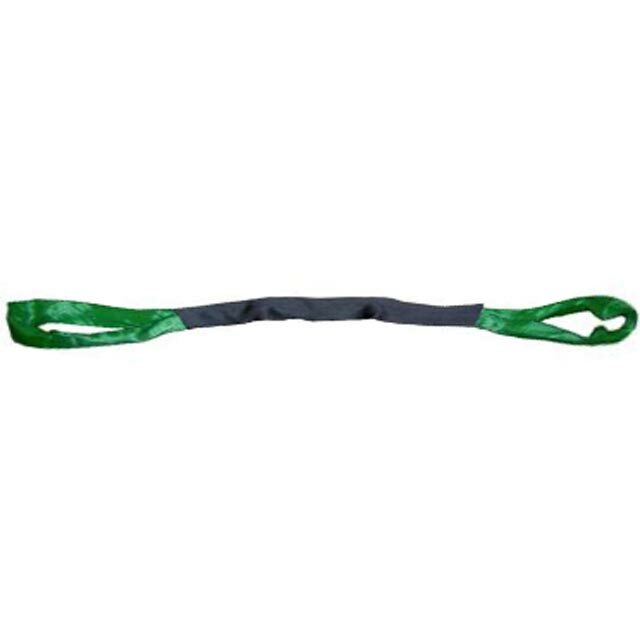 CORE™ Polyester Endless Round Slings are also available and allow you to rotate wear points along the sling body.